Installing new UPVC on your house is an expensive job. 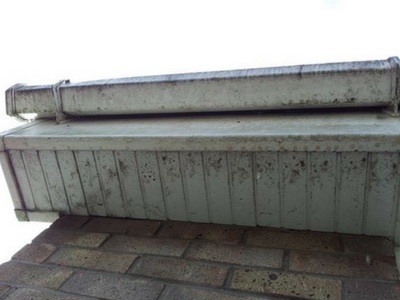 But by regularly maintaining your UPVC surfaces your investment can be kept in ‘top-notch’ condition. 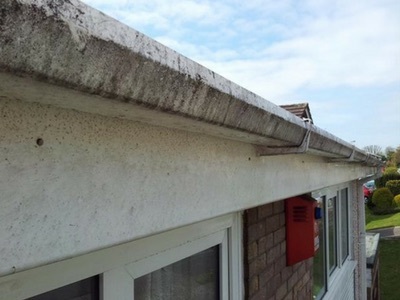 We can clean your fascias, soffits, guttering, cladding and frames. The height doesn’t matter, as we have invested in a variety of ways to clean your property. We soak the areas in a degreaser to loosen the dirt. Using a telescopic pressure washing lance we clean the areas to make sure that every area is cleaned. By pressure washing the area it enables us to thoroughly clean the akward parts i.e. 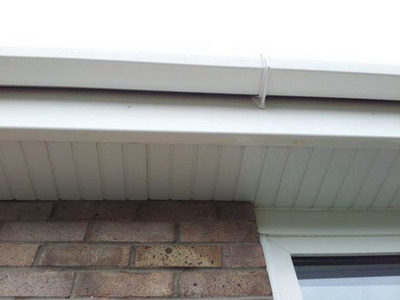 around guttering brackets. Can you clean above conservatories? Yes we can. We have invested in telescopic cleaning equipment meaning we can get over your conservatories to clean the areas above without having to set foot on them. Can you empty the guttering of debris? The price varies on many factors. If you contact us providing us with your address we would be happy to arrange a time to call to your house to give an accurste quotation. Yes we can. 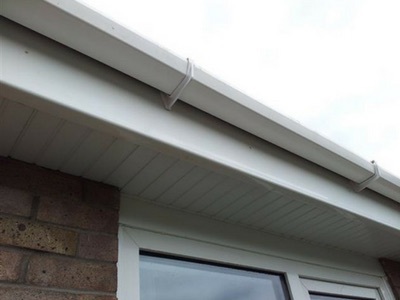 We usually carry in our vehicle a supply of guttering seals and silicone for minor jobs to fix on the spot. If the repair requires more than this, we can still carry out the work for you.